Near Tallahassee lies one of the largest and deepest freshwater springs in the world. Swimmers can find an observation and diving platform at the head of the spring. Scuba diving for those certified is allowed at Cherokee Sink, but be sure to call ahead. 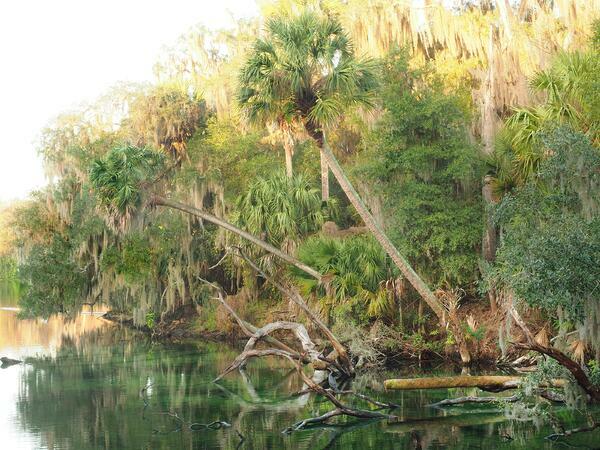 This spring near Orange City is the largest on the St. Johns River. Although it doesn't seem warm to us, it's a popular place for manatees seeking warmer waters in the wintertime. This park in North Florida is a very popular place to cool off in the summer, and the head spring is a National Natural Landmark. Every Floridian should tube the Ichetucknee at least once. We all know this park near Spring Hill for the live mermaid shows, but this state park also has beautiful crystalline waters for swimming, canoeing, and more. Kids will adore the mermaids, and there's a water park, too. 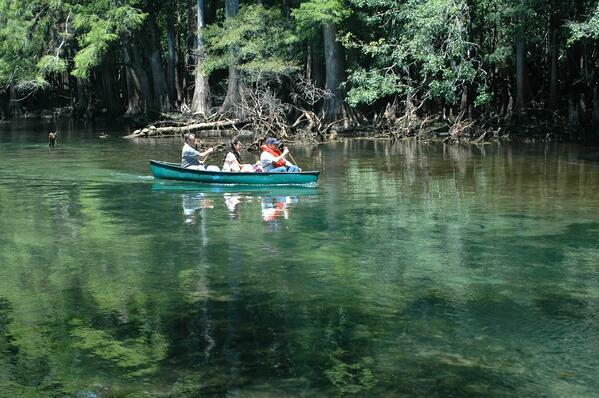 About two hours north of Tampa in Dunnellon sits one of Florida's most beautiful state parks. Hike through the park and check out the enchanting man-made waterfalls. Then cool off with a dip in the headsprings or tube down the crystal clear Rainbow River. If you're more interested in wildlife than water activities, you will love this park in Citrus County. Wildlife like black bears, deer, alligators, otters and manatees can be seen here. There's also an underwater observatory and wildlife encounter to teach animal lovers of all ages about our native wildlife. Start your day pouring your own pancakes at The Old Spanish Sugar Mill at this park located about 30 minutes from Daytona. Then take a swim in this historic park at depths up to 30 feet. Due to the depth, children and weak swimmers should stay with an adult swimmer at all times. Visitors here can swim in a crystal clear spring in a limestone basin on the west bank of the Withlacoochee. Scenic woodlands surround this perfect summer picnic spot. There is also an extensive underwater cave system for those certified in cave diving. Silver Springs near Ocala is one of the oldest attractions in Florida. There's no swimming at the park, but you can still enjoy this slice of Old Florida with a glass bottom boat ride. Featuring sparkling water under palms and oaks in Ocala National Forest, Juniper Springs is one of the East Coast's oldest and most charming recreation areas. Ginnie Springs, near High Springs, has to be one of the clearest and most beautiful springs in the state. It's perfect for swimming, tubing, snorkeling and diving. You can find Kelly Park in Apopka, about 30 minutes from Orlando. As with most of the springs on this list, Kelly Park is a very popular place to go tubing and swimming, so be sure to arrive early in summer months. With so many options found all over Florida, the natural springs are an easy and fairly inexpensive road trip that will be sure to please the entire family. Make sure to bring your camping gear if your plan is to sleep on-site and watch out for the wildlife, because there is plenty of it. Get outside and find out why OnlyInYourState.com loves these fresh-water spring destinations!